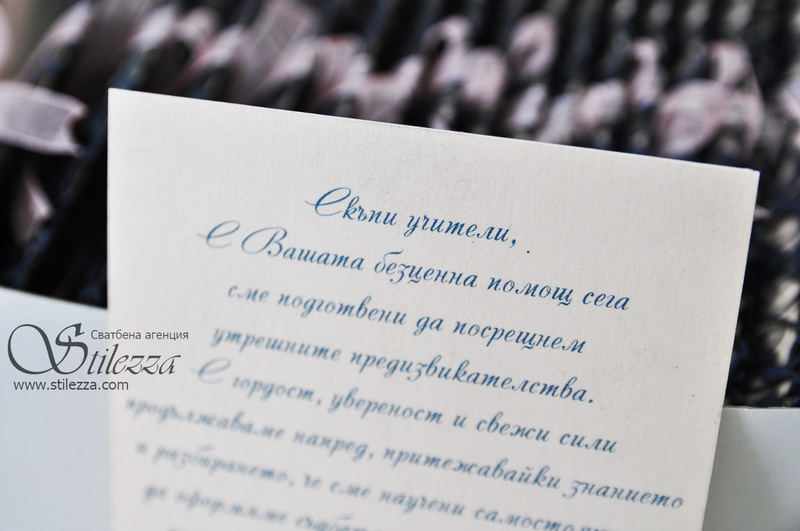 For the second time, the graduates of "Geo Milev" Foregn Language School, Dobrich assigned the preparation of their prom invitations to us. 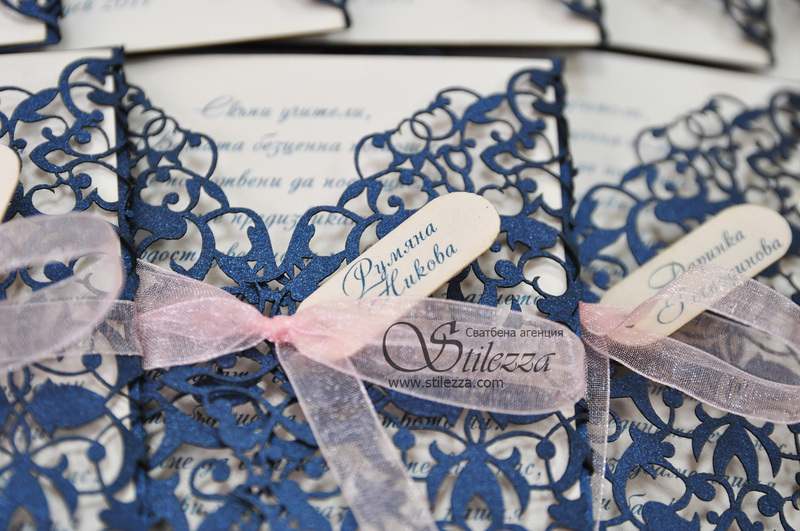 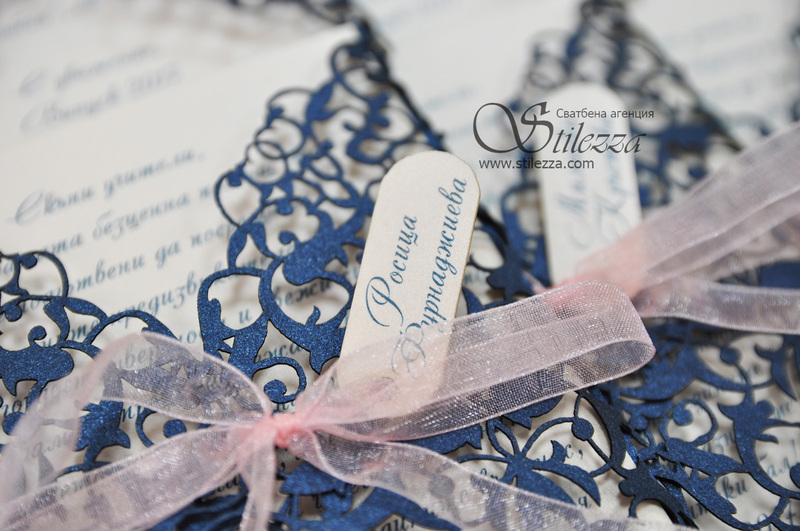 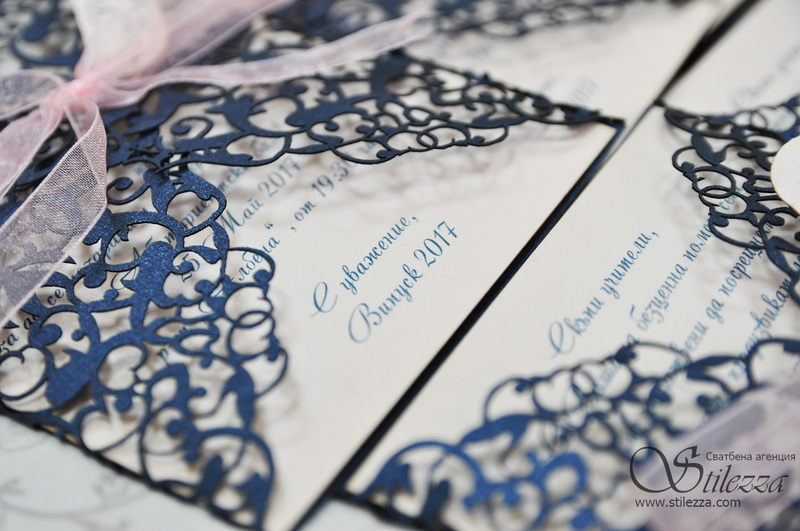 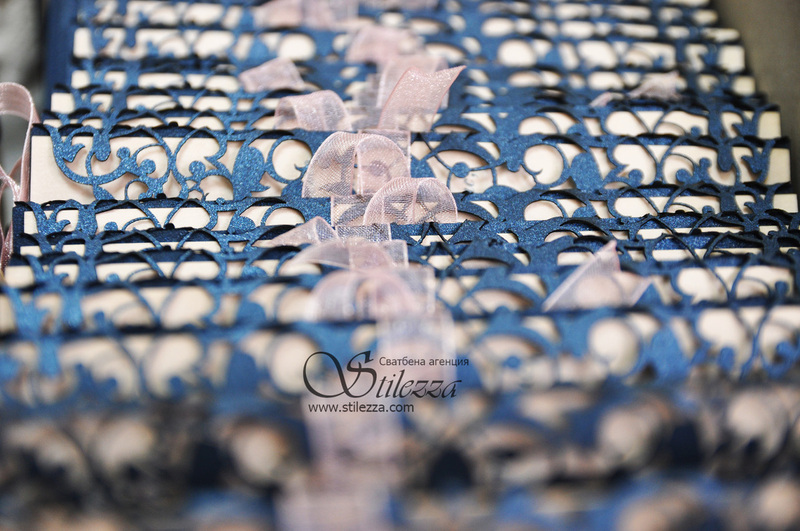 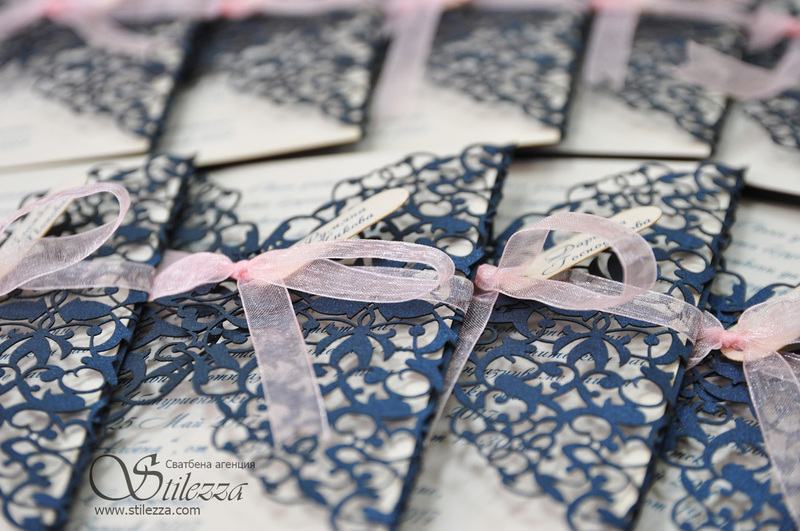 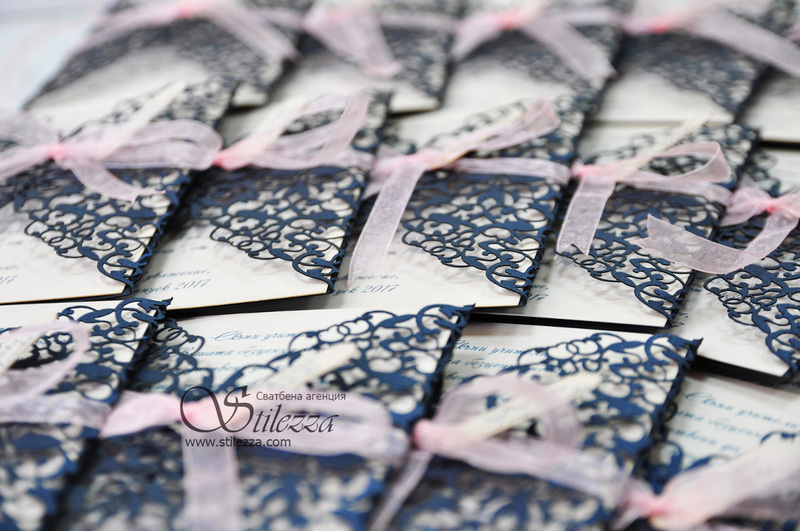 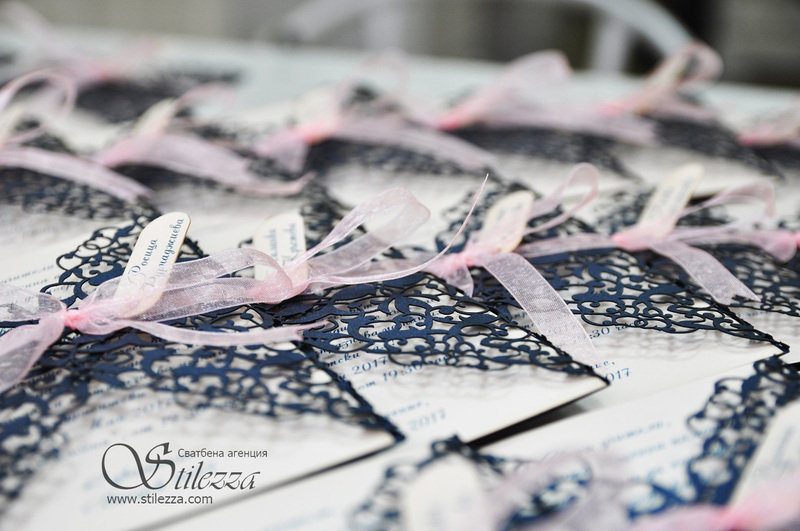 The main theme now is dark blue and pink, along with our favourite lace! 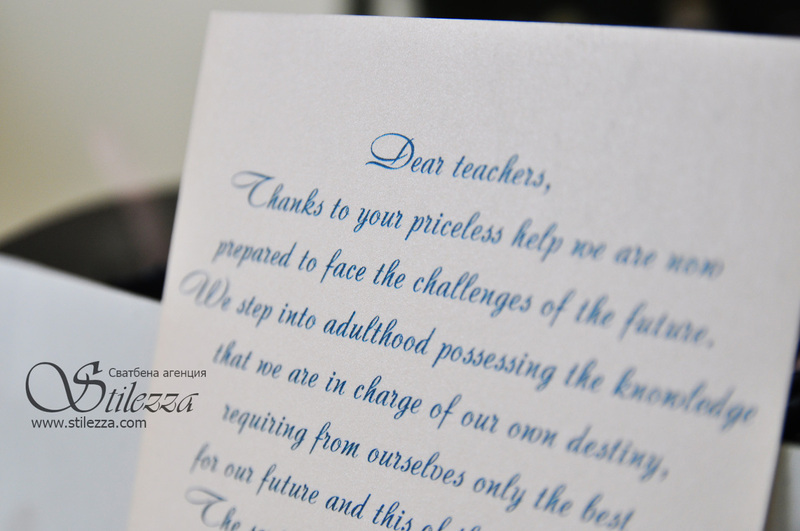 To honour the teachers, we have attached small personalized name tags to the invitations.